The Nadi Airport Terminal Modernisation project is nearing close to 50 per cent of the upgrade works with targets for completion by mid next year. The works are being undertaken by contractors Hawkins and Pacific Building Solutions. 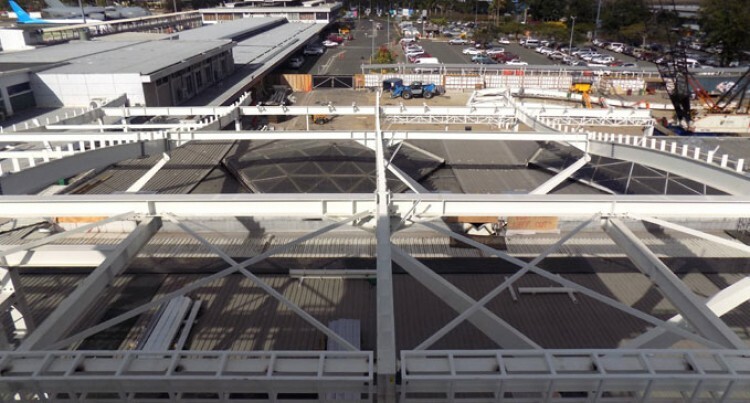 One of the major highlights of the ongoing construction of a modern Nadi International Airport is the installation of the steel roof structures at the terminal which started going up in July. Airports Fiji Limited executive chairman, Faiz Khan, said keeping the airport fully operational has been the main priority during this milestone project worth $105 million. “Construction work has been staged to allow the airport to be operational,” he said. “Most of the works have been carried out during the night when there are no flights to ensure our passengers are not affected. Mr Khan said when completed, the Nadi International Airport will be the pride of Fiji with a modern look, more spacious and convenient. “But most importantly it will further enhance our image as a top tourist destination complementing Fiji’s efforts to attract more visitors,” he said. Construction of the departures area on the first floor which has been redeveloped and extended is almost complete. Mr Khan said they are looking at launching this area for public usage around September. When completed Nadi International Airport will boast a modern check in terminal with its ceiling being raised to seven metres, with extension to the entrance of the terminal enabling improved passenger flow management. A new two-lane drop off area will be created for better traffic management outside the departure check in hall and throughout the terminal there will be modern and new air conditioning systems. Inside the departures lounge there will be modern shopping and retail facilities with amenities such as a prayer room and children’s play area. Passengers arriving into the country will get enhanced facilities such as additional immigration counters and carousels.